Debra comes to Blossom Birth with a background in the health sciences. In 1985 she obtained a B.S. in Nutritional Sciences from Cornell University. 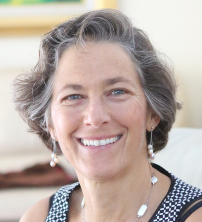 She has worked as a Registered Nurse since 1988 and is a graduate of the UC San Diego Lactation Consultant program. Debra works as an IBCLC at the Good Samaritan Hospital Breastfeeding Support Group in San Jose and runs her own private consultant practice in the South Bay: www.losgatoslactation.com.